Deluxe rambler on the Royal Golf Course. 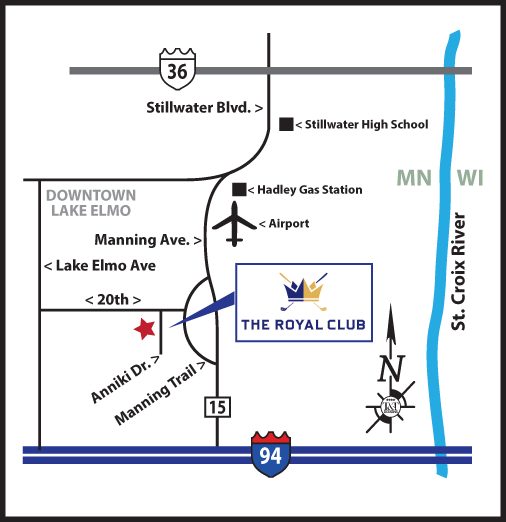 Hwy 36 to Stillwater Blvd, South past high School to Manning Ave. Left on Manning Ave past airport to MANNING TRAIL, Right to 20th and right to Annika Drive. 694 to I-94 go east to Manning Ave, south one mile to MANNING TRAIL and left to 20th St and left to Annika Drive.